It’s a decision many small businesses face. Owning real estate certainly can have advantages, including the opportunity to build equity. But many small businesses in need of space choose the rental route instead. By leasing, a company can avoid taking on debt to acquire a property. Less debt on the balance sheet may allow the company to finance other things, such as receivables or inventory and equipment purchases. And the upfront cash commitment needed to enter a lease agreement may be much lower than the down payment required for a property purchase. If your business is looking around for the right rental location, here are a few suggestions to keep in mind. Not all of these tips are appropriate for all businesses, but some may help you get a lead on a good spot — and a good deal. Find an eager landlord. Rental spots that have been on the market for a while could have some negative features, but they may be worth a look. If you find a location that suits you, you might also find a landlord who is anxious to negotiate. Think about the term. A long-term lease locks in your rental rate — and that can be an advantage if you expect the market to trend upward. But leasing for short periods is often less expensive than leasing for longer periods. If your business is in its formative years, significant changes may lie ahead, so a short-term arrangement could be more practical, too. Adding an “option to renew” clause can help keep your costs down and your options open. Divide and conquer. Could you make do with two smaller spaces instead of one large space? The more flexible you can be, the better your chances of finding a good deal. Check rental comps. Commercial property markets can be very localized. Rents may vary considerably between one locality and another just a few miles away. Unless you’re limited to a specific location, compare rates in several areas. In New York City, the lease vs buy dilemma is understandably common. If you are tired of overpaying taxes, call 212-631-0320 and ask for Mark Feinsot. 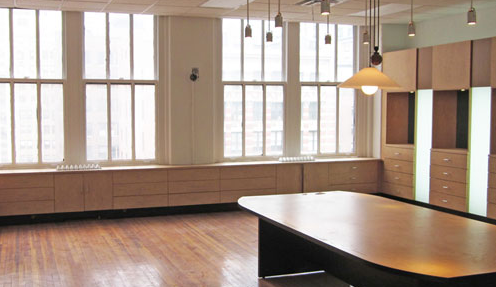 We have two offices in Midtown Manhattan to better service you. Our initial consultation is free. Mark E. Feinsot, CPA is a New York City CPA Accounting firm servicing all types of businesses and high net worth individuals. We are QuickBooks Certified ProAdvisors to better service small businesses. For additional expertise, we also specialize in dental practice accounting, law firm accounting, aviation accounting and high net worth accounting.